How to draw Animals Kindle Version!Learn to draw animals today with the number one how to draw animals book. Limited time discount (regular $4.99) now only $1.99 for a limited time!Find detailed instructions on how to draw: CatsDogsElephantsSquirellsFrogsGiraffesLionsBears and many more!Learn how to draw animals with step by step guides. 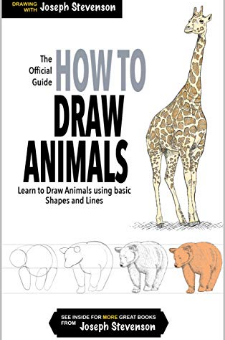 You will learn to draw animals using shapes, templates, lines and many more. Some animals are easy and others are harder. Great for yourself or as a gift!